This infographic was created to illustrate the different elements used within a fashion and retail marketing campaign. 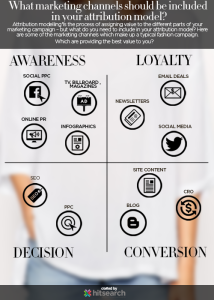 This infographic was designed to be shared across social and as a point of reference for those wanting to understand what channels may work for them. This infographic covers a variety of the different elements that can make up a retail or fashion marketing campaign. Anyone within the fashion or retail industry can print and use this to better understand how these elements can work together to create a successful marketing campaign.